When I was eleven, I thought Carl Sagan was the coolest guy in the world. And that was because he was speaking right at me. At the age of 11, in 1980, I was a kid utterly convinced that he was going to grow up to be an astronomer -- I loved the stars, I loved the science, I loved the toys -- and here on my TV came Sagan, suave in his red turtleneck and buff jacket, surrounded by special effects and Vangelis music and telling everyone (but especially me) about how the cosmos is everything that ever was, everything that is, and everything that ever will be. I fell for Carl with the sort of blissful rapture that I strongly suspect is only available to pre-pubescent geeks, a sort of nerd crush that, to be clear, had no sexual component, but had that same sort of swoony intensity. This was the guy I wanted to be, when I was age eleven. Sagan sits as a member of my triumvirate of cultural heroes, the other two being John Lennon and H.L. Mencken. It's a odd trio of personal heroes, I admit, but then I'm still a little odd. But even among John and Henry, Carl came in first. Maybe it was the turtlenecks. 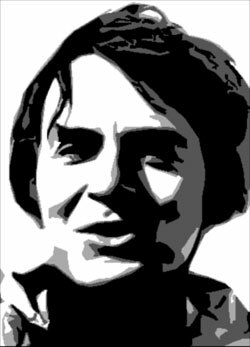 I'm a quarter century older than the eleven-year-old boy whose mother held a weekly viewing of Cosmos over his head as a bargaining chip for good behavior, and I'm still a great admirer of Carl Sagan, primarily because he did something I see as immensely important: he popularized science and with patience and good humor brought into people's homes. He did it through Cosmos, most obviously, but he also did it every time he popped up on The Tonight Show and talked with celebrity fluidity about what was going on in the universe. He was the people's scientist. This is not to say that you'd look at Sagan and see him down at the NASCAR race; it is to say that he could easily use a NASCAR race to explain, say, relativistic speeds and what it means for traveling through the universe. This is important stuff. Getting science in front of people in a way they can understand -- without speaking down to them -- is the way to get people to support science, and to understand that science is neither beyond their comprehension nor hostile to their beliefs. There need to be scientists and popularizers of good science who are of good will, who have patience and humor, and who are willing to sit with those who are skeptical or unknowing of science and show how science is already speaking their language. Sagan knew how to do this; he was uncommonly good at it. I find that inspirational. As it happens, I am not a scientist -- the flesh was willing, but the math skills were, alas, weak -- but I write about science with some frequency; I've even fulfilled a life goal of writing an astronomy book, The Rough Guide to the Universe, of which I am about to compile a second edition. In my writing and presentation of science, I look to Sagan for guidance. Nearly all of what happens in the universe can be explained in the way that nearly any person can understand; all it requires is the desire to explain it and the right language. Sagan had the desire and language. I like to think I do too, in part because I learned my lessons from him. I am aware of the need to avoid hagiography. I have an idealized version of Carl Sagan in my head, one that is notably absent any number of flaws that the real Carl Sagan had to have had simply because he was human. My connection to Sagan comes from some limited number of hours of television and a finite number of books, and in both cases the man was edited for my consumption. This is one of the reasons why, unlike the 11-year-old version of me, I don't want to be Carl Sagan, and I'm not even entirely sure I want to be much like him as a person, if only because, at the end of it, I don't know him as a person. What I do know is that I like his ideas. I like his love of science. I like his faith in humanity. I like how he saw us reaching for things greater than ourselves, because it was in our nature and because it was a fulfillment of our nature. I like how he shared his enthusiasm for the entire universe with everyone, and believed that everyone could share in that enthusiasm. These are things that, in giving them to everyone, he also gave to me, first as an 11-year-old and then continuing on. I've accepted them with thanks and made them part of who I am. If I use them well, I may be fortunate enough to share them with you, as they were shared with me. At 30, I was a little old (and had already had my mathmatics Waterloo) to have been much affected by Dr. Sagen. You see, at about that same age, 12 or 13, I'd already met the great populizer who had inspired a love of science that had to remain unrequited for the most part. For me, it was Issac Asimov. As an eighth grade SF geek, I wanted to know everything and explain it to people, just like Dr. A. Alas. Math happened. Today, while I know lots of stuff I think is pretty neat, no one really wants me to explain it to them. I mean, would you want (or need) to have the difference between a probable cause hearing in Michigan and and one in Colorado explained to you? Didn't think so. re: Nerd crush. I know the feeling. Since I was interested in the biological end of things, for me it was Gerald Durrell (in his books) and David Attenborough (in "Life on Earth"). Could those guys be any cooler? I tried to write a Carl Sagan tribute on my blog, but it came off really awkward. I just can't express the impact COSMOS had on me. He died much too soon. Favorite Carl Sagan quote: "I don't want to believe. I want to know." I think I know what you mean. My techie crushes were not so personal but a little more general. For sure the space program and then DaVinci (a lefty like me) and later Lazarus Long. I wanted to be a joat and an astronaut. I had the math skills and the full ride to the AF academy, a football scholarship, but lacked the perfect vision required to be a pilot, and my body was too big for the current astronauts. They liked 'em small, like jockeys. So I punted on the academy - why go through all that work if I couldn't be a pilot and then astonaut? Damn. Now you've got me all bittersweet. As much as one tries to live one's life with 'no regrets' they seem to creep in anyway. If you had known him, you would loved him even more. It's a story that had me pretty misty, and really opened up a side of Carl that I hadn't seen. I can't recommend this enough. Cosmos was an inspiration for me, too. We watched it in my high school physics class. After that, I began buying and reading Sagan's books, which inevitably lead me on to books by others as well. I guess you could say that Carl Sagan was the gateway drug for me into physics and astronomy. Of course, that would make math my court-ordered rehab. Who left these footprints here? Damn they're big. Carl Sagan's Pizza by the late, lamented RICHH. I loved Sagan as a kid, unfortunately, as a Cornellian, I had a very different view of Sagan the man. Lots of situations on campus are described in this article (last paragraph, first page). A friend got into his one class at Cornell for undergrads where you could not be an astronomy major and had to pass a rigorous interview process to be one of 20 students in the class. I do not remember how much of the class was taught by Sagan and how much by grad students. Sadly, I only really discovered Carl Sagan's genius for communication in the late 90s when I read The Demon Haunted World (not the whole title, I know). It was the single best piece of non-fiction I have yet to read, and it had a passion and readability that was infectious. I was so sad to find out he had passed away not so long before I finished the book. I took the lessons I learned from his legacy and tried to apply them in some of the research labs I was working in during college. What was sad was that for many of the career scientists, clear communication in science was not only something they were unfamiliar with, but also hostile to. I remember having to rewrite a presentation on Fragile X protein synthesis research a bunch of times, and in each rewrite, my point became less clear rather than more. It was at this point that I decided I would teach more of my friends and families about science, and learn more about the fundamentals of teaching. He is still affecting my career path now, because he helped ignite a love of teaching in my life that I use in social work, and will use if I go into training and instruction full-time. "the flesh was willing, but the math skills were, alas, weak"
You and me both, brother! I started at Cornell thinking I might be an astronomer, then changed my mind when I just couldn't keep up with the math, sigh. Interesting that you went to writing, whereas I went to art and was influenced by Rick Allison's space paintings for Cosmos and a lot of the other visual stuff presented by Sagan. Well, at least I gave astronomy the old college try (*groan*). Oh, my God, that pizza story is AWESOME. I would write about when I discovered Sagan, but I'm too tired right now. Maybe I'll actually update my blog for the first time in about six-seven-eight months. Cosmos was incredible to me, as well. I was fascinated with astronomy as a kid. Like John, I realized in highschool that my math was nowhere close to what it needed to be to actually BE an astronomer. Then I had to read "The Dragons of Eden" in college. I'd call it a life-altering event. If you haven't read it, you need to. me too! me too! I was ten in 1980 and I wanted nothing more than to be an astronomer like my hero. Much later, I realized that it was Sagan's anthropology lessons that were really fascinating to me, because his story of the progress of science was really a story about us--the explorers. I credit him for instilling in me a lifelong love of learning. Thanks Carl. I don't know if anyone noticed, but if you scroll up you will find a post from Ann Druyan, Carl's widow. I certainly noticed the post from Ann Druyan. I got to take a Critical Thinking course with Dr. Sagan in 1986, and Ms. Druyan sat in on our small class. Delightful and brilliant lady. Dr. Sagan credited her with challenging him to stay intellectually rigorous.